McDonald’s Personal Injury Claims Guide – How To Claim Compensation For A Accident At McDonald’s? – How Much Can I Claim? McDonald’s is one of the UK’s favourite fast food restaurants and offer eat-in meals, take-away meals and drive through is becoming more and more popular nowadays. The menu at McDonald’s has grown over the years so that there’s pretty much something for everyone, starting at breakfast and then on to burger meals throughout the rest of the day. Most people have a nice meal and enjoyable time when they visit but if you’re involved in a McDonald’s accident, either as a customer or a member of staff, then you may want to seek compensation for your injuries and if the accident was caused by McDonald’s or its staff then you may have a valid claim. To begin a no win no fee claim today, call us on 0161 696 9685 and speak with one of our specially trained advisers. If you’d like to know more before beginning a claim, please carry on reading and we’ll provide you with all of the information you’ll need. What Is An Accident At McDonalds? I Had An Accident At A McDonalds, What Should I Do? I Suffered A Burn Injury At McDonalds, Can I Claim? What Health And Safety Regulations Does McDonalds Need To Follow? How Long Can A Compensation Claim Take And Is There A Time Limit? 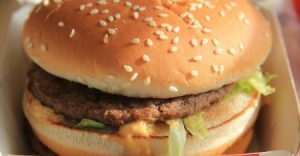 Why Claim Compensation For A Fast Food Restaurant Accident With Our Experts? With around 1300 McDonald’s restaurants in the UK, it is a family favourite in most major cities. Whether it be a special treat for the kids at the weekend or a morning cappuccino on the way to work, McDonald’s is popular and caters for most tastes. Whilst most McDonald’s are clean, well-organised and safe places, accidents can and do happen. If an accident happens because a staff member was negligent (i.e. they didn’t follow company policy on something) then you could be eligible to make a personal injury claim against them. This guide will explain what you should do in the event of an accident, the type of accidents that commonly lead to claims, how much compensation you could receive for your injuries and how Advice.co.uk can help with making a claim. If you have any queries after reading this guide, then you’ll find our contact details at the bottom – please call us and we can answer any questions. McDonald’s accidents are simply any form of accident which happens in their restaurant or car park. The types of accidents which are eligible for compensation are the one’s where a member of staff has made some sort of mistake which caused the accident, or the company itself have been negligent causing harm to the public or a member of staff. As a massive player in the fast food industry, across the world, they have well written health and safety procedures and staff training programmes to ensure both customers and staff are safe when they visit. In most accidents that result in a claim it is possible that a member of staff may have made a mistake or forgotten to do something properly, so even though McDonald’s puts procedures in place, accidents could still happen, and you could claim compensation for them. If you were to blame for your accident and McDonald’s staff couldn’t have prevented it, then you wouldn’t be eligible. We’ll cover the types of accidents that could lead to claims in more detail including food poisoning, slips and falls and broken furniture. While some websites offer a personal injury compensation calculator, we use figures published from the Judicial Court Guidance due to each case being unique and with too many variables. This sample shows a handful of injuries, we know there are more so please contact us if you’d like more information about what your specific injuries could be awarded. These are the figures quoted in the previous section and are ranges of compensation that are awarded for different injuries. They compensate the pain and suffering caused by the accident. They have a range of values with a minor injury being paid less than a severe, life-changing injury. If you require time off from work, then your solicitor can claim for any earnings that you miss out on if your employer doesn’t pay full sick pay. In more serious accidents, if you have to stop working altogether or change to a different job then you can also claim for the loss of future earnings. When your accident happened, if any item of personal property was damaged, then you can claim for the cost of replacing or repairing the item. Following an accident, you may incur additional travel costs such as getting to and from medical appointments. If this is the case, then you can ask for the costs back. There are other special damages as well as these that a solicitor can use, you could provide receipts or bank statements to prove the cost. Your solicitor needs as much information as possible to be able to make a complete claim as, once the claim has been settled, you can’t ask for anything else at a later date. Attending a doctor’s surgery or hospital for treatment. This will ensure you get the required treatment and also the doctor who assesses you will record what injuries they’ve seen, how serious they are and any treatment you require. These medical records are an essential part of making a personal injury claim. Report the accident to McDonald’s staff, as they are required by health and safety law to record any accidents. Ask for a copy of the report they create. Photograph the scene of the accident and try to capture what you believe caused the accident. It is best to do this as soon as possible before anything is moved or put right. Photograph any injuries you’ve sustained if they’re visible. The final thing to do is to contact us at Advice.co.uk. If you have done all, or some, of the above, it will make preparing a claim much easier and increase the chances of you successfully being awarded compensation. The next few sections will detail the most common restaurant accidents that could lead to compensation claims. If your accident isn’t listed, don’t worry, we can still help you to begin a claim if it was caused by staff negligence. McDonald’s, as well as all restaurants in the UK, have to ensure that they protect all customers and staff from injuring themselves while in their restaurants. If a floor is wet following cleaning and no, or inadequate signage is in place. 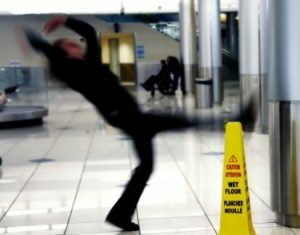 If a floor is slippery because of a spillage that hasn’t been cleaned up in a timely manner. When there is debris or other items blocking the normal walkways of the restaurant which causes you to trip over. Where lighting is broken and causes you not to see a trip hazard. McDonald’s generally have warnings on all packaging for food which could burn or scald customers such as hot drinks, apple pies and hash browns but accidents could still happen where staff are carrying trays of food to customers tables and spill drinks or when they’re passing food to customers in the drive through and the lid is not on drinks properly. If you think you have been burnt by staff negligence then please call our team for free advice on what to do next. If a seat or bench is broken, you could fall as you sit on it causing you to become injured. Damage seats may have sharp edges or protrusions which can cause cuts or lacerations. In either of these cases, unless the damage was only just caused, it is possible that restaurants could be liable for compensation for your injuries. As we’ve already mentioned, McDonald’s has a good training programme for all staff but if a team member hasn’t been properly trained it could cause accidents to occur to either other staff or customers. If you work in McDonald’s and have been injured either because you weren’t trained properly or a colleague wasn’t and they caused you to become injured, speak with our team so that we can assess your chances of being awarded compensation. All restaurants have policies on how often staff should wash their hands and clean work areas which should mean the environment stays hygienic. If these guidelines aren’t followed, either through deliberate actions or because the restaurant was very busy, both staff and customers could be at risk of contracting illnesses and compensation could be claimed. You may think that in most restaurants the storage, preparation and cooking of food looks to be carried out in very hygienic conditions and is very safe and you’d be right in the majority of cases. Food should be cooked at pre-set temperatures, for set lengths of times and cleaning should be carried out regularly but if a piece of kitchen equipment is faulty or a member of staff fails to follow procedures for any reason then food poisoning can occur. Symptoms of food poisoning include nausea, stomach cramps, vomiting, diarrhoea and a high temperature. If you believe you’ve contracted food poisoning you should attend a doctor’s surgery for medical advice. They will also have to obtain a food hygiene certificate and be inspected by the local council to obtain food premises approval. Inspections can also happen randomly. Employers, owe all staff a duty of care as well as the customers. We’ll cover accidents that could happen to employees , where compensation could be claimed in the next couple of sections. As before, if you’re not sure if your injury is eligible to make a compensation claim, please get in touch so that one of our advisers can assess your claim with you and see if it has a chance of succeeding. Restaurant staff will be exposed to very hot cooking conditions and liquids which can result in a burn or scald. If you’re a member of staff who’s been burnt while working in McDonald’s through no fault of your own then you could seek compensation from them if the accident was caused by negligence and avoidable. As well as the main restaurant area, the staff area, stairways, bin areas and any other area that staff may access should be safe, uncluttered and well lit. If you have had an accident in staff only area, then you could begin a claim if it was caused by negligence of the employer in any way. If your claim is honest, your employer cannot legally discipline you for making a compensation claim and they will have insurance in place to deal with any such claim so don’t be put off from claiming what you rightfully could receive to aid your recovery. You may be wondering how long a claim will take and it’s a tough question to answer without knowing all of the details surrounding your claim. A McDonald’s accident claim is no different from any other but please get in touch and we’ll be able to give you a clearer idea once we’ve been through the finer details of your claim. With regards to time limits, all personal injury claims in the UK have strict time limits so it’s important to begin your claim as soon as possible so that your solicitor has plenty of time to gather the supporting evidence to support your claim. Personal injury claim 3 years from when the incident happened or you became aware of the injury. Accident at work claim 3 years from when the incident happened or you became aware of the injury. If you are in any doubt as to whether you can still make a claim, please contact us and we’ll check for you. Beginning a claim is easy now that you’ve found Advice.co.uk. Simply call us today and we will offer you a free, no obligation, consultation so that you can ask us any questions you may have, and we will assess your claim with you. After we have assessed the details of your claim, we’ll tell you whether we think it has a good chance of success or not and, if so, how much compensation you may be entitled to. If we agree with your claim and take it on, we’ll connect you with a personal injury solicitor that offers no win no fee agreements for any case they facilitate. You may have heard of no win no fee agreements, but do you really understand how they work? When you use a no win no fee solicitor, you’ll sign a document called a Conditional Fee Agreement (CFA) which contains a success fee. This is a percentage (a maximum of 25%) that the solicitor will retain if they win your case to pay for their services. If they win the case, they simply retain their success fee and send the rest of the compensation directly to you. If they lose, you don’t pay them anything for their service at all. The alternative is to pay a solicitor by the hour and if they win compensation you keep 100% of it but if they lose, you still have to pay for their service which can lead to a large bill and no compensation to pay for it. We only work with solicitors who offer a no win no fee agreement as we believe it removes the stress from making a claim and, as you don’t have to actually transfer any money to the solicitor yourself, makes it much easier for a lot of people. When you contact Advice.co.uk you’ll realise how friendly our staff are. They’re also professional and driven to ensuring that you get the correct amount of compensation for your injuries. We understand that some claims are stressful, especially if you’re making a claim against your employer, but our staff are all tactful and, in most cases, won’t actually speak with your employer as we’ll communicate with their legal department or solicitor. Remember, when you get in touch, if you still have questions then feel free to ask and we’ll be happy to help. Telephone: This is the easiest way to begin, call today on 0161 696 9685 to begin your claim. Email: Send details of your claim to claims@advice.co.uk and we’ll get back to you. Online: Fill in this online form with details of your claim. For your information, Advice.co.uk are personal injury specialists who can help with claims for any location in the UK and only work with solicitors who offer no win no fee agreements. We always offer a free consultation and an honest and realistic assessment of your chances of being awarded compensation. Food Poisoning Guide – a guide by the NHS about food poisoning causes, symptoms and treatments. NHS Falls – Another useful guide about the treatment of injuries sustained in falls. The Health and Safety At Work Act 1974 – Information on the legislation provided by the Health and Safety Executive. If you have suffered from a burn injury or scald find out how much compensation you could claim for different burns example scalds, tea burns, coffee burns.